Plant-based foods from restaurants were on the rise in 2018, according to Grubhub’s ordering data. 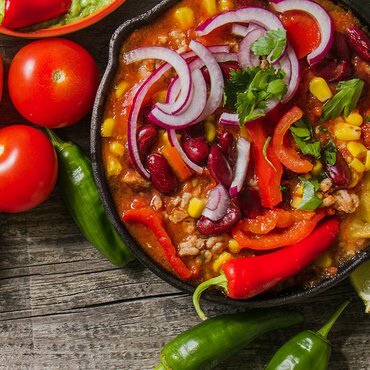 Bean burritos took the top spot as the food surging the most in popularity in 2018, rising 276 percent compared to 2018. Cauliflower rice bowls increased 155 percent and buffalo cauliflower made the list, increasing 124 percent. Overall, the top 10 foods in 2018 are bean burrito, poke, chicken slider, baby back pork rib, chicken burrito, chicken sandwich, cauliflower rice bowl, chicken and waffle slider, parmesan chicken, and buffalo cauliflower. While poke bowls are still hot, they fell to the No. 2 spot this year, seeing a 205 percent increase in popularity compared to their 643 percent rise in 2017. Also, avocado toast is no longer all the rage, and didn’t crack the top 10. Top breakfast items included peanut butter acai bowls, detox juice, bacon, egg and cheese sandwiches, breakfast burritso and French toast. Top desserts included brownies, Oreo cookie cupcakes, baklava, salted caramel cookies, and cobbler. Survey respondents gravitated towards fast-casual restaurants, with 40 percent ordering most from these types of restaurants, followed by quick-service at 32 percent and casual dining at 24 percent. The majority of survey respondents, 80 percent, order food to their home.